Whether driven primarily by cost imperatives, energy scarcity, or stewardship goals, most organizations today are seeking ways to reduce energy consumption and green house gas emissions. 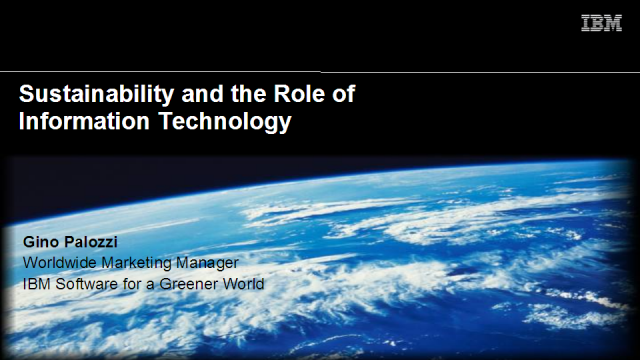 While the growth of IT is often viewed as a contributor to the problem, IT capabilities are also key to a greener organization and a smarter planet. Attend this session to learn how IBM's hardware, software, and services can help you set and achieve meaningful energy efficiency goals, cut costs, and reduce environmental impact within your datacenter and beyond.